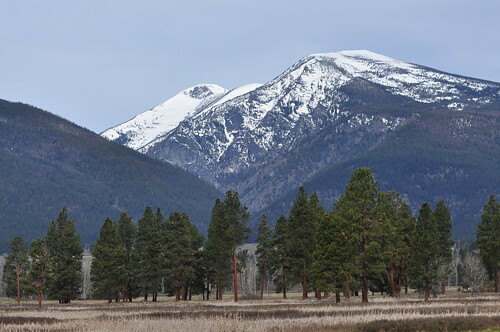 Sapphire Resource Connection (SRC) was originally founded in 2010 with its corporate headquarters in the Bitterroot Valley of Western Montana. The founder and President is John Parsons. With 25 years of direct experience in the Employee Assistance Program (EAP) field as EAP Counselor, Wellness Coordinator, Account Executive and EAP Administrator, John has had an opportunity to witness both the development of, and changes within the EAP industry. Increasingly over time once small well-run EAP’s have grown rapidly and diversified their offerings. In many cases such growth has been to the benefit of their customer base. However too often, larger, nationally based EAP’s seem to have lost their ability to connect in a meaningful way to the average small to medium-sized employer. Based on the direct feedback of many area business men and women, there remains a yearning for a local EAP presence. In direct response to the current absence of a Western Montana based EAP, Sapphire Resource Connection was founded. SRC is committed to the provision of a stand-alone, confidential, objective, independent, and customizable Employee Assistance Program for employers who are concerned with the well-being of their employees and their family members. SRC is delighted and proud to have introduced this unique and innovative Employee Assistance Program. Update: Now in the winter of 2018, Sapphire Resource Connection is a well established regional EAP with over 30 separate contracts. The corporate headquarters relocated in 2015 to Kalispell, Montana – situated in the majestic Flathead Valley. We provide excellent service to a wide variety of businesses including those in the following industries: healthcare, energy, human services, finance and government. It is our goal in the coming months and years to continue the steady expansion of this valuable resource throughout Montana and beyond. We at SRC are deeply appreciative of those businesses and corporations that have elected to establish relationships with us and have entrusted the care of their employees and family members to our staff. Thank you!